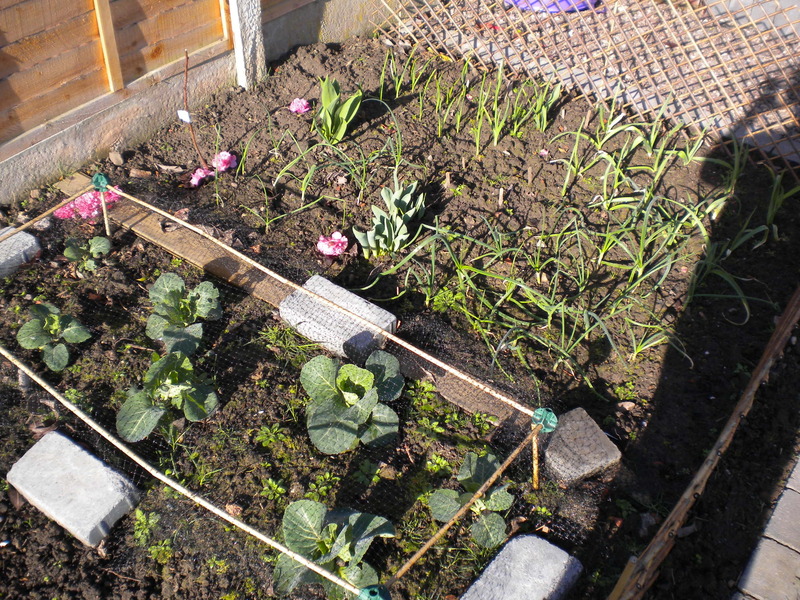 The warm weather went to my head and I think I’ve gone to early on the seed planting. And this is the same tray 24 hours later!! They are like flipping triffids!!! 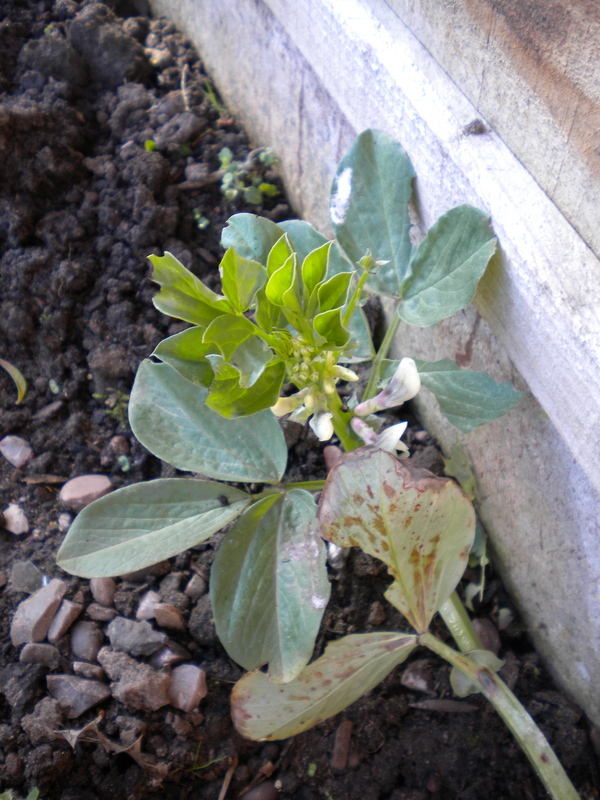 The bean roots have already escaped the bottom of the modules. 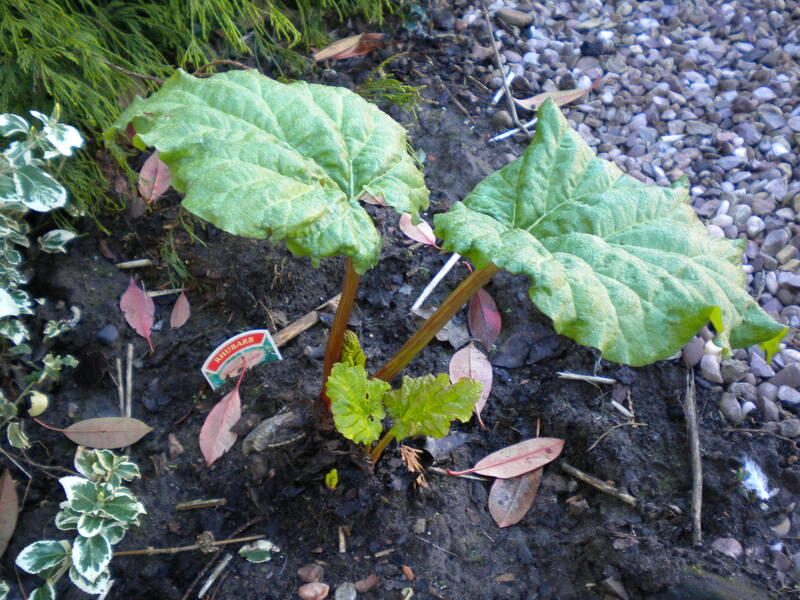 There is going to have to be some pretty swift transplanting in the next couple of days into larger pots. At least I know the seeds are healthy but whether these will be too spindly to survive I don’t know. Fingers crossed for beginners luck, otherwise I’ll have to do what Flighty said in the comments and sow into the ground in May. Last Thursday was such a lovely day that I just could not resist any longer. I sowed some seeds! Over the past year I have collected rather a lot of seeds from freebies on magazines and I have bought a few as well. Also Flighty from Flighty’s Plot very kindly sent me some borlotti beans, nasturtiums and marigolds. 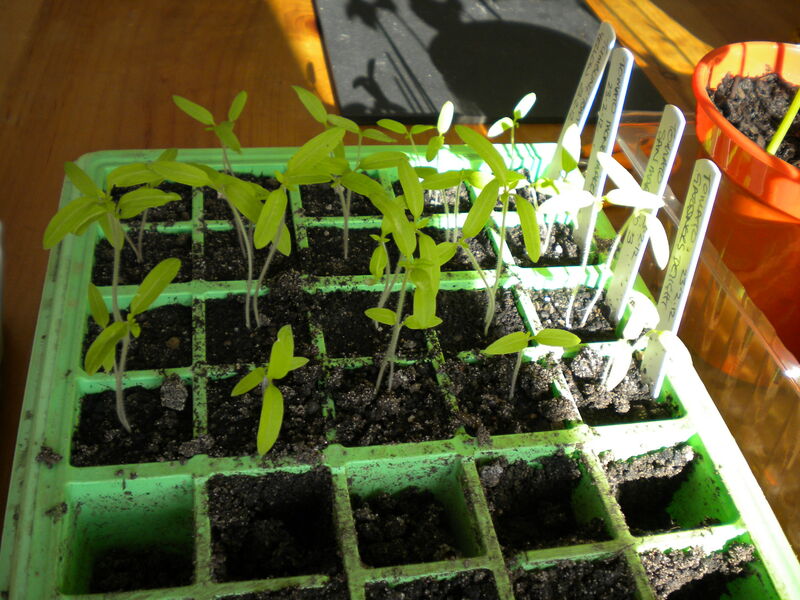 I wanted to grow several different tomatoes this year so I have sewn 4 varieties – Gardener’s Delight, Tumbling Tom Yellow, San Marzano 3, and Moneymaker. I do have some others which I’ll see if I have room for later. For the beans I sowed White Lady (runner), Montano (dwarf French), Cobra (climbing French), and Lingua di Fuoca (borlotti from Flighty). 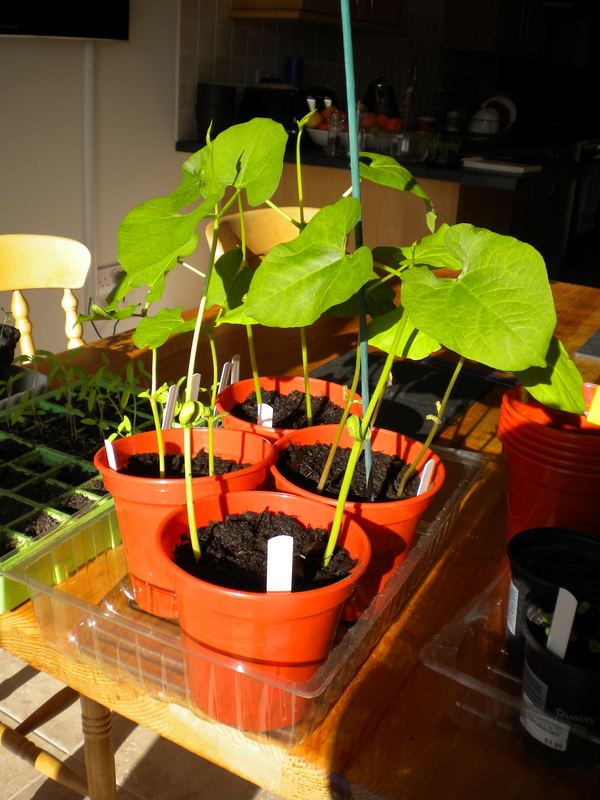 I sowed them all in a module tray, which may have been a little small for the beans so I might have to transplant quite soon. 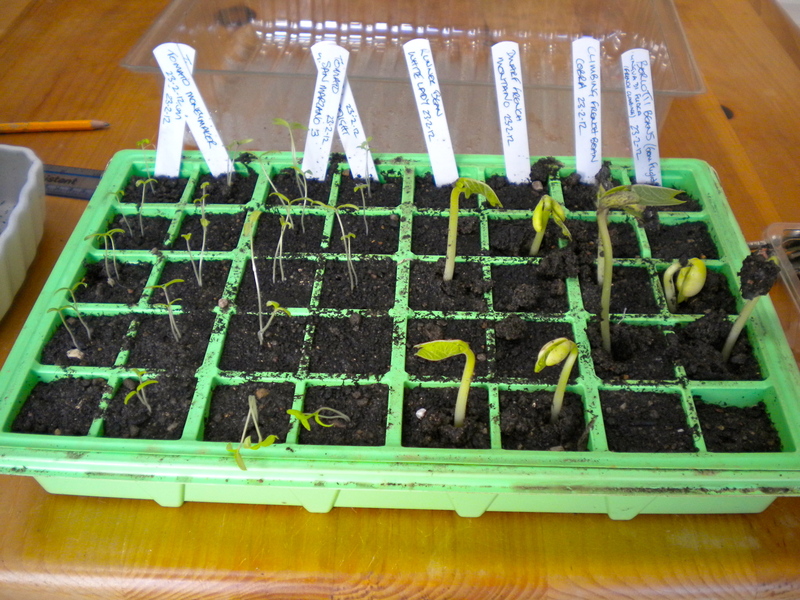 I sowed 2 of each tomato seed per module and one bean. 5 modules per variety. 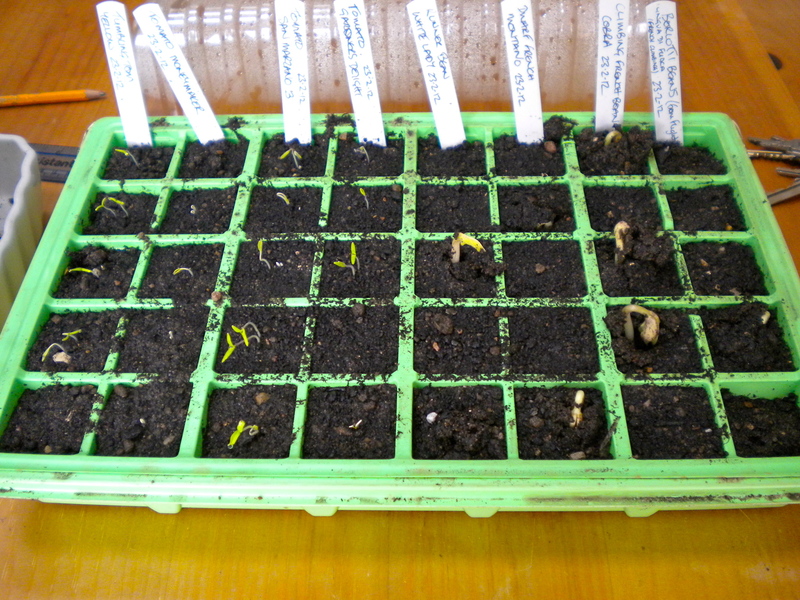 As you can see, in only 5 days most of them have germinated! They are covered with a lid and left on my kitchen table for the light from the patio doors. 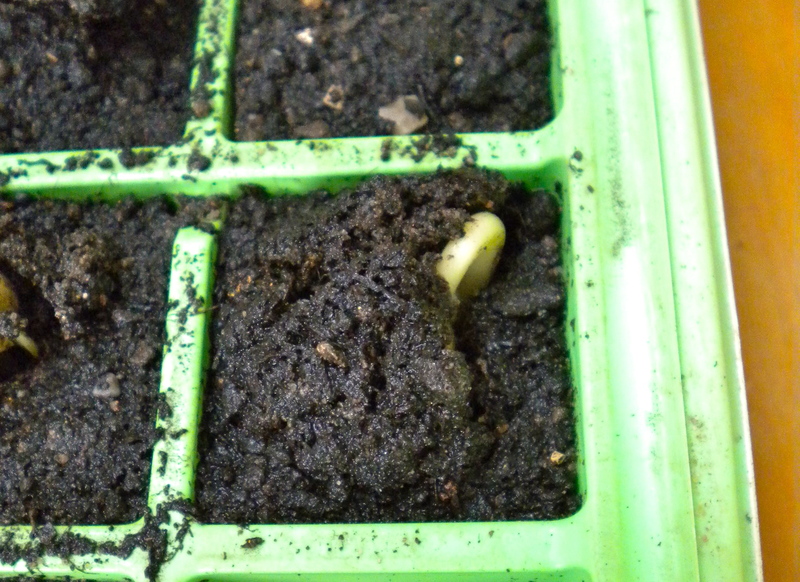 And just for you, Flighty, this is one of your Borlotti beans!! I also threw a few chives and basil into a couple of pots, the basil is showing but no chives as yet. AND……..huge news……….something went into my bird box this morning, woohoo!! !